ADJUSTABLE 4TH ROTOR THUMB LEVER: The 4th rotor thumb lever can be adjusted to fit any hand size from small student hands to large adult hands. EASY RESPONSE AND SURE NOTE CENTERING: The ease with which this horn may be played makes it ideal for students. 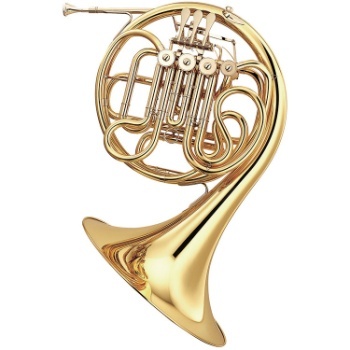 EXCELLENT SOUND IN ALL REGISTERS: The combination of the secure high register, strong projection, and quick attack of the Bb horn with the rich, warm timbre of the F horn make the double horn ideal for most playing situations.